What makes artists tick? How and why do they do what they do? What keeps them motivated? 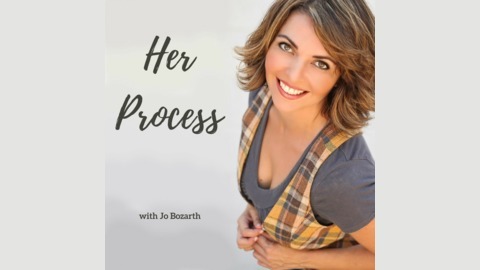 How do they earn a living pursuing their art?Join host, Jo Bozarth, as she chats with artists of all genres about the ins and outs of their work, how they got where they are, their successes, failures...the behind the scenes of being a creative. This podcast is all about women learning from and supporting one another. If you're an artist searching for some common ground and inspiration, this show's for you! 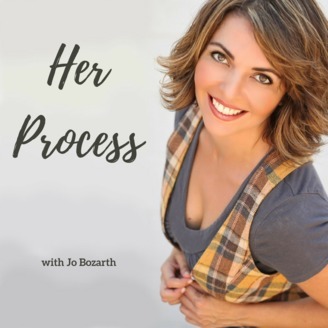 For more inside scoop, pop on over to www.herprocess.com. Episode 53.5 is a 5ish minute rapid fire q & a with my guest from episode 53, Kitty Lindsay. Find out what makes this actor/writer/director/podcaster tick. My fav answer from this episode was to the question of how to get over that creative lull. So simple. Why haven’t I thought of this?? How does Kitty do it? Listen and find out!